I have been asked many times for proof that the Murrelet can be considered ocean worthy. Until November of 2001, I was unaware that proof (outside of the mathematical ratios) existed. 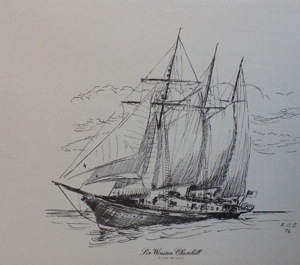 Because the uninitiated do not consider a trip across the English Channel, which is done by Mac26x boats, or a trip from Key West to Cuba, which I would like to do, or even circumnavigatingVancouver Island, to be an ocean crossing or passage it is difficult to convince doubters. July 8, 2014 in Ex Ex 2014. The notion of designing a vessel from a luxurious interior out doesn’t sit well with me, but this is likely the situation with most new sailboats today. In aircraft builds an approach called Lean is followed. This means that base functionality is engineered first before creature features (features that are intended to get a customer to buy). June 22, 2014 in Design, Ex Ex 2014. During the last 10 years, sailing technology in the Americas has made its greatest advancement since 1900. The US national park service provided some valuable insights in presentations made during the AC34. Prior or to 2,000, multiple generations of family members slowly evolved fixed foil on center-line designs, moving the builds from wood, mettle, and cotton into carbon fiber, and moving ballast from the bilge to keel foils. May 15, 2014 in Racing. I keep the WoodenBoat article with me. April 12, 2014 in Racing. John Vigor, a reviewer of “good old boats” in Twenty Small Sailboats to Take You Anywhere (1999 Paradise Cay Publications) lists the Alberg 30, Albin Vega 27, Allied Seawind 32, Bristol 27, Bristol Channel Cutter 28, Cal 20, Cape Dory 25D, Catalina 27, Contessa/J.J Taylor 26, Contessa 32, Dana 24, Falmouth Cutter 22, Flicka 20, Folkboat 25, Frances/Morris 26, Nicholson 31, Pacific Seacraft 25, Person Triton 28, Southern Cross 31 and Westsail 32s as blue water cruisers/ pocket cruisers. April 11, 2014 in Ex Ex 2014. We honor Hobie Alter who passed away on March 29th 2014 in simple ways. On my sailboat it is with a Coleman ice box. 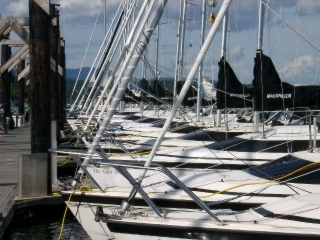 The only finished compartment on the MacGregor 26x sailboats is the place the manufacturer intended for that box, which stores a factory supplied Coleman ice chest. April 1, 2014 in Racing. 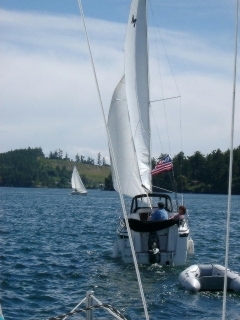 Pocket cruising is a term that applies to sail boats 27 foot and under. This is a challenging form of cruising owing to space limitations. For pocket cruisers, simple things make a big difference. Many of them are inexpensive. March 27, 2014 in Ex Ex 2014.